common pest and diseases and how to deal with them. As the department SOC I have been asked to coordinate this exercise, then, fortnightly, we will get an hour or so to discuss the chosen crop with an expert in our department. As we are three trainees, each of us will take it in turns to report back on each of the three aspects of crop growing mentioned above. 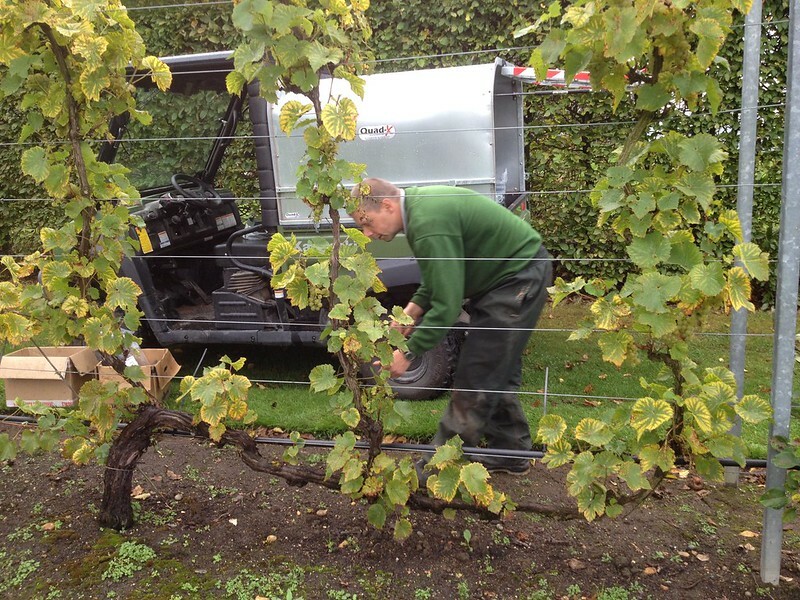 the vineyard is managed with weed control and regular pruning of the canopy in the summer, plus a feeding and spraying programme to control Botrytis, on instructions from our fruit specialist; it is pruned in December and tied down in early spring. 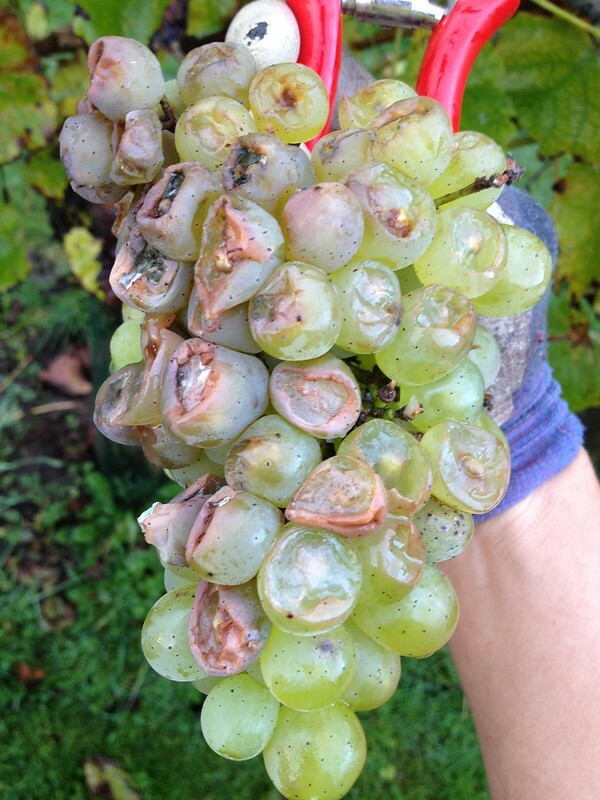 The grape picking day saw all the team mobilised, but we did not take much time to strip all the trees as this year has not been a good year for grapes at RHS Garden Wisley, especially not the 'Phoenix' cultivar, while 'Orion' fared better. 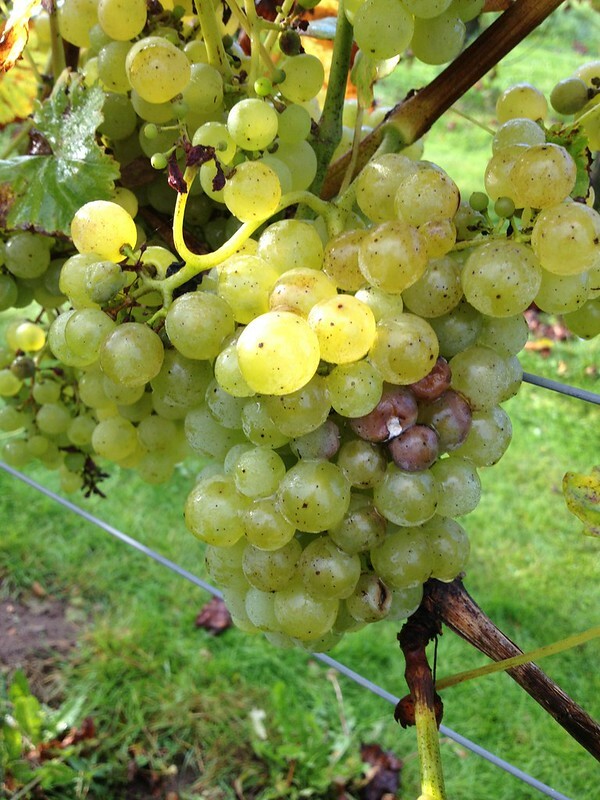 I grow 'Phoenix' at home, and my grapes seemed to fare rather well this year (in rather different conditions, including heavy chalky soil rather than sandy). 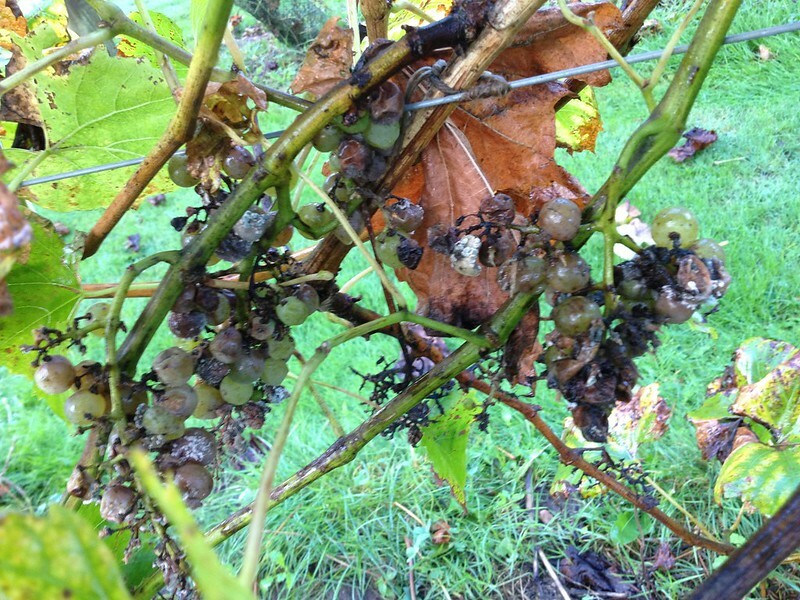 Is it a matter of soil conditions, of general growing conditions (for obvious reasons more pests and diseases concentrate where a wider range of plants are cultivated more intensively, of scale of production, of orchard management? 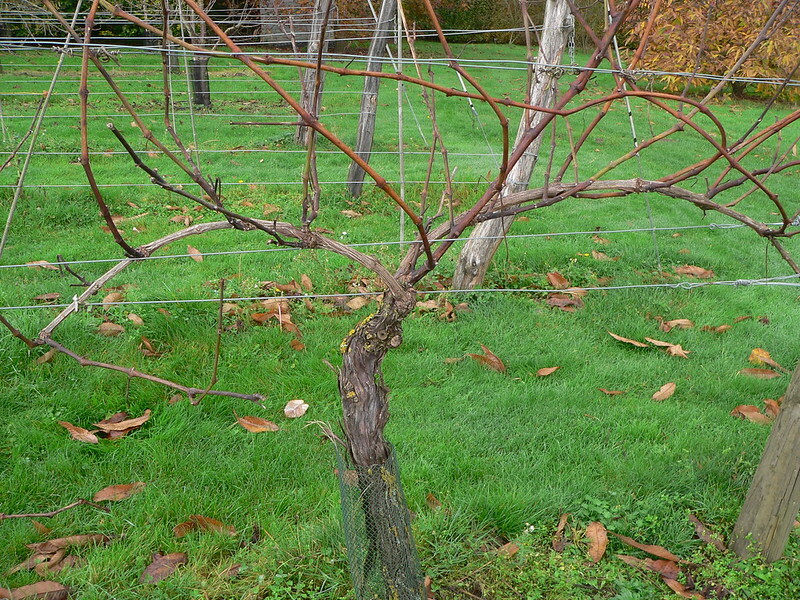 I am now intrigued to compare and understand further, so I will be following developments in the orchard really carefully, and look forward to working with my colleagues who specialise in grapes growing.